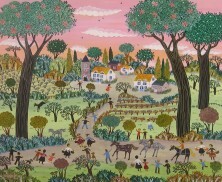 Marie-Jo Radenac was born in 1938 in Courbevoie, France and moved to Paris. 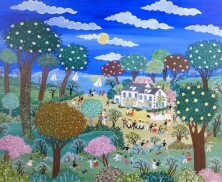 She then moved to Bretagne and was a manager of a naïve art gallery. 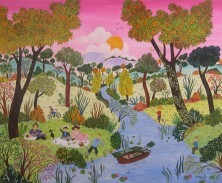 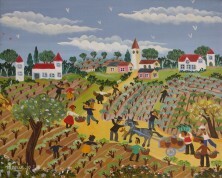 A self-taught artist, she began her artistic career in 1978.